The holidays, Christmas, Chanukah, this most wonderful time of year, whatever you like to call it, has the capacity to bring us times of togetherness, reflection, and recalling fond memories. One of the simpler yet delightful traditions among many families is watching favorite holiday specials together. “Dr. Suess’ How the Grinch Stole Christmas!” and “A Charlie Brown Christmas” are two of dozens that often come to mind for many because they directly address the meaning of this time of year while capturing its wonder, no matter what this time of year means to different people. However, there are many wonderful and talented people in television that have tribute and dedicated episodes of their shows to this time of year in order to add to that important conversation of the meaning of the holidays. This list is dedicated to those such specials that do a fantastic job at making thought-provoking points while being incredibly entertaining and rewatchable episodes of television that you might want as part of your future holiday traditions. Summary: Airing on December 8, 2011, this episode of Community found the study group in an uneasy, dark time in their history of being together. When the ASCAP issues a cease and desist order to the Glee Club’s Christmas Pageant, Glee Club Director Mr. Radison asks the study group to step in as substitutes. Despite having been successful in the past, the study group as a whole seems to not want to participate at all. 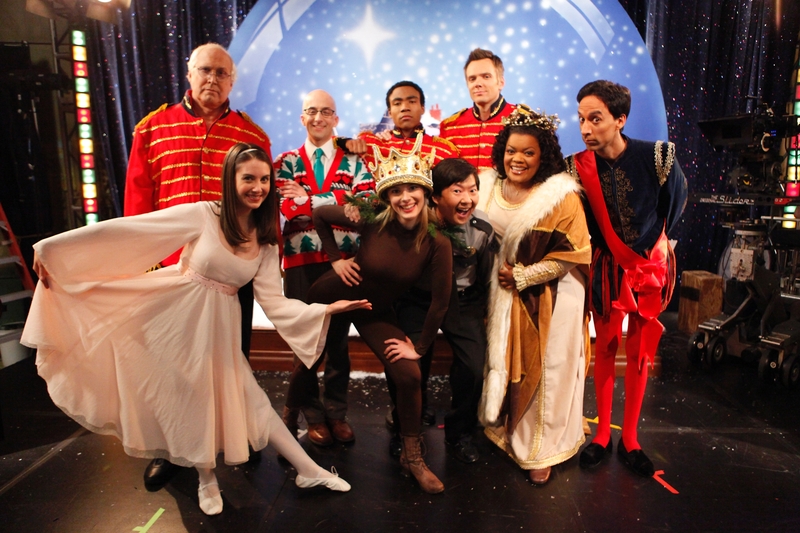 However, in the interest of togetherness for Christmas, Abed agrees to help turn the rest of the study group around on the idea and participate in the Christmas Pageant. What is most surprisingly delightful about the episode is how it parodies Glee Club and American Christmas songs simultaneously, bringing up interesting points about this time of year that can only be pointed out in this format. While more topical at the time of release, obviously parodying the hot TV show “Glee,” it offers its own story with elements that have aged well since both programs have been off the air. The episode offers quite a few big laughs as well as a message so dark that not many Christmas would take on with a lighter attitude. Perhaps that why it stands out so perfectly, because it allows the viewer to take on this potentially dark time and accept all it is while still trying to enjoy the holiday. Summary: Airing on December 17, 1995, this Simpson episodes features Bart getting excited by the new videogame BONESTORM coming out, asking his parents to get it for him for Christmas. Met with discouragement from Marge, Bart is desperate thinking of a way to get someone to buy it for him or to let him play it. The school bullies come across Bart at the store, sharing their method of getting what they want, through the “four finger discount,” by which they mean stealing. Bart follows their example, and just as he’s about to walk out with what he came for, he is pulled aside by the store manager, banned from ever entering the store again. Bart has to deal with the guilt and disappointment. 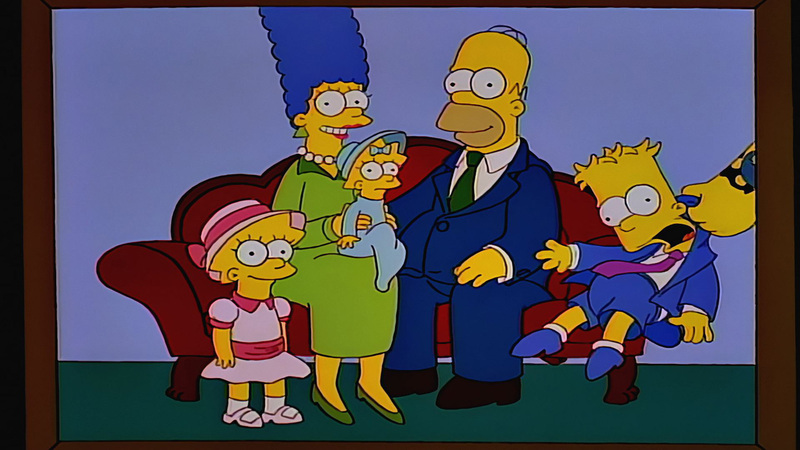 The Simpsons have had many Christmas episodes over the years, appropriate since the first episode of its own show was about Christmas and adopting the family dog, Santa’s Little Helper. “Marge Be Not Proud” stands above the rest however because it addresses a real selfishness children can have during Christmas when the point of gift-giving is lost on them. The episode finds its balance of this through Bart’s desire to be treated as an older kid, but changes his tune when he realizes what he’s lost in his mother’s trust. It is one of those episodes in The Simpsons that, while it has its quotable lines, does not stop breaking your heart because it reminds you of that one time you became a stranger to your mom and it seemed like there was nothing you could do. The lesson of gift-giving and what it means manifests differently for everyone, but is taught best in this episode of The Simpsons. Summary: Airing December 14, 2016, this hour-long episode of The Office finds Michael with a broken heart the day of the office Christmas party as his then-girlfriend (fun fact, who is Steve Carrell’s wife) dumps him. To lift Michael’s spirits, recent transfer Andy Bernard offers to take him to Benihana’s to help him move on and get his mind off of things, and Dwight and Jim tag along. Meanwhile, Angela is putting together her Nutcracker Christmas party, and recent transfer Karen offers some ideas to help the other new members of the team more at home. Angela’s absurdly strict and uptight rules lead to Pam and Karen getting along and organizing their own Christmas party. Of all The Office’s Christmas episodes, this one does the best job of encompassing how one’s office or place of work will handle holiday parties, whether that’s the relaxed, more fun parties, the awkward, quiet borderline meetings, or going out and being more personal with coworkers. One of the hardest balances to find working in an office is between being personal and professional. Even if you have never seen an episode of The Office, the character dynamics are completely put on display as if you have not missed an episode. The occasion allows for more appropriately fun interactions between the coworkers, and the final message is one of peace and togetherness, even with those people who are not the nicest at work. It certainly helps knowing what to expect from the holidays in the adult world, and of all of the holiday episodes of The Office, this one does it best. Each of these episodes offers another perspective on the holidays that I hope you find encouraging, which is that we have the power to give meaning to the holidays and the lights and decorations to remind us of that warmth and togetherness. Have a Happy Holiday and a Happy New Year!